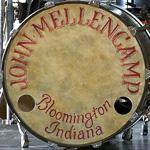 It's just my opinion - and I know I've brought this up before - but I really do feel that more traffic would be generated if we had just one main Mellencamp forum here. There are just so many subforums here: I strongly believe that one main JM forum would engender more community spirit here and also, perhaps more importantly, generate more in the way of intelligent discussion of JM's music and what it's meant for a lot of us over the years. Thank you for the feedback, that very possibly will happen in the future. Can I make a suggestion as well? I notice you have child boards from the "No Better Than This" tour up since like, 2010. Why not hide those now and put up child boards for the "Plain Spoken" tour? So now it'll be easier to talk about specific shows in this tour. Or, is there just not enough traffic to organize it like this?